Our perception of what makes a data center is shifting all the time. We’ve already seen a move away from the large, monolithic bricks and mortar structures of old and seeing new manifestations in smaller form factors. We’re now seeing it being taken one stage further with Vapor IO’s Project Volutus, which the company claimed was a “data center as a platform” aimed at cloud providers, cellular carriers and large enterprises. 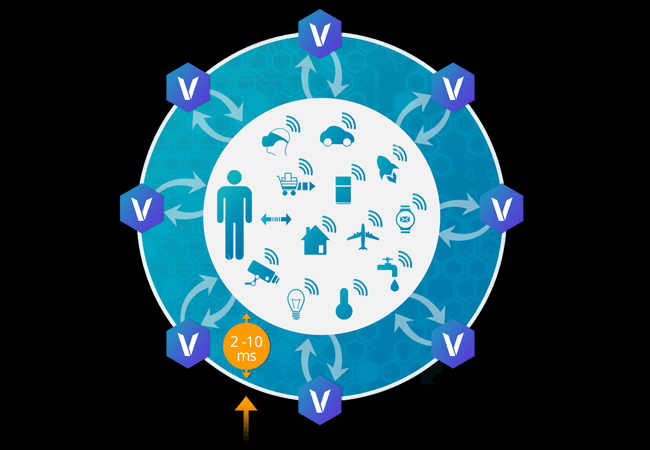 Project Volutus is based on Vapor IO’s rack system, Vapor Chamber, coupled with open source telemetry system OpenDCRE. The new offering also deploys Intel’s FlexRAN software-defined radio access network platform for scalability. OpenDCRE software can run as a service in every location, providing customers with a common API for analyzing and controlling their infrastructure. As an example of how the system works, Crawford used the example of cloud provider with four data centers (two East Coast, two West) managed vertically but with no intelligence built in. Outside those geographic regions, users are going to struggle with latency issues. “Look at like air travel: to get anywhere, I’ll first have to fly to a hub and then to my destination — the internet works in the same way. And even at the speed of light, there’s built-in latency,” he said. It’s a technology that, on the face of it, looks to treading the same path as content delivery network (CDN) providers but Cole said this was not the case. “We see the CDN providers as customers. Even a large CDN network will benefit from our last mile wireless presence and we are in talks with the major CDN companies about co-locating their equipment in our facilities to extend their CDN to the true edge of the wireless network,” he said. Project Volutus, with hundreds of Kilowatts of compute capacity in each location, makes it possible to run data center scale workloads at the edge, doing everything from IoT data ingestion to distributed machine learning on GPUs. According to Vaper IO, the computation for mobile devices can be done more with less latency at the edge of the network, not back at the data center. Currently, Volutus is aimed at the U.S. only although there are plans to expand, said Crawford. In the U.S., the project’s early access program will roll out to two cities later this year.